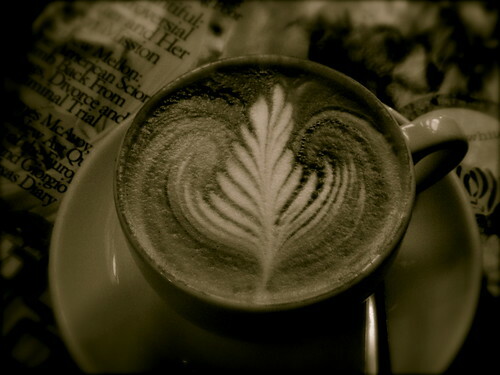 I’ve decided to add another category to my blog, aptly called “Coffee News”. OK, so what is new from my travels and observations that may be of interest to you. Starting from closer to home, Vienna – you will be sad to know that the favourite coffee shop, Mocca Club, is sort of no more. Well ! they still exist but the previous owner, Jo, has left, along with her SCAE expertise and tender coffee touch that the quality of coffee production has, let’s say, not kept up with my expectations. Now for some good news and for this, we are off to London. For those of us in London, there are two exciting things. Flat White have opened another coffee shop in Soho called Milk Bar – Cameron, the owner, preferred to avoid the coffee chain thing and decided to give it another name, which still sounds cool. Anyway, you can find Milk Bar, equipped with a black customized La Marzocco FB-70 espresso machine, on 3 Bateman Street. I haven’t been there yet and I must confess, I walked past it when I was looking for it and just went right back to the original Flat White, but God willing, I hope to check it out next time I’m in London. You will also be glad to know that 2008 and 2007 World Barista Champions, Stephen Morrissey and James Hoffmann respectively, have finally opened their coffee company, Square Mile Coffee Roasters. At the moment they are focusing on selling coffee on line and there are no plans for a coffee shop yet. You can visit them in the heart of London but you will have to make an appointment first – a bit serious, but these guys are really serious about coffee. Just visit their website on http://shop.squaremilecoffee.com/ and you will see what I mean. I wish I could order coffee, but this is restricted to the boundaries of the UK for the moment. In any case, during my last visit to Flat White, they were testing out one of the square miles special blends. My final piece is just to update you on the coffee scene in Dubai. There’s now a Dean & DeLuca coffee shop. for those of us who do not know about Dean & DeLuca, they are a famous New York coffee shop, which I have been informed featured in a popular US sitcom for many years. Anyway, click on http://www.deandeluca.com/ for more info. They are located at Old Town Commercial market in Burj Dubai, near the tallest building in the World. Also new in Dubai is the famous Canadian coffee franchise, Cafe Supreme, located in the same area as Dean&DeLuca in Dubai – how’s that for a bit of competition. I haven’t been to either of these but they seem to offer a different perspective to the coffee scene in Dubai. This entry was posted on Friday, October 17th, 2008 at 6:14 pm	and posted in Bean There - Cafes, Coffee News. You can follow any responses to this entry through the RSS 2.0 feed.